Fasting is big occasion to prepare special delicacies, specially when the whole family fasts on same day..As much it sounds contradicting, to eat so much on a fasting day, I am sure all of us have special memories of awaiting the big fasts like Ekadashi, Mahashivaratri, Navaratri fasts just for those special food items..and for Sabudanao khichadi!!! Well so my family is no exception to this and so here is the Mahashiratri special thali prepared by me!! 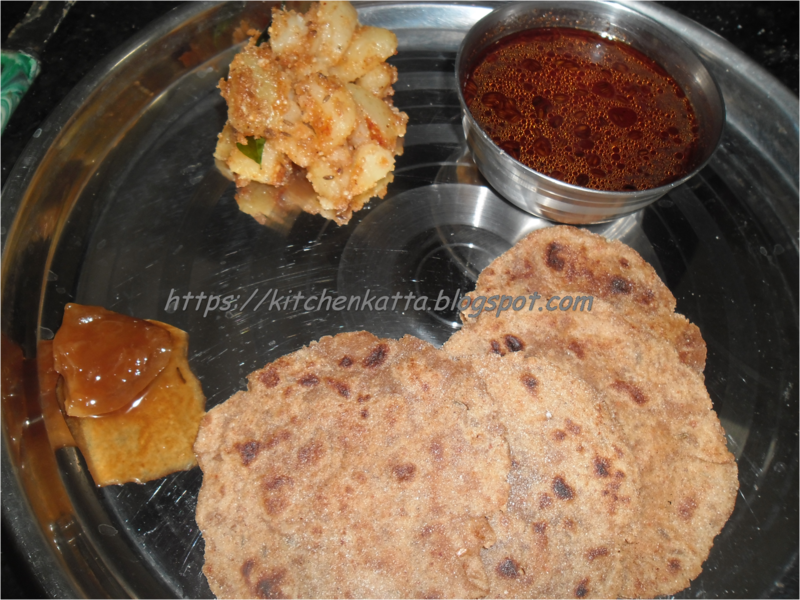 Enjoy Amsaulache saar, Batatyachi bhaji, Shingada-rajagira dashamya and god limbache lonche!! Yummy amsul saar is ready!! Done, upwasachi batatyachi bhaji is ready! !